The JSE retreated along with other global stocks on Wednesday as trade worries reignited market fears. Investors were cautious ahead of the meeting between the US president and the European Commission’s president which is supposed to take place this evening. European counters weakened despite a firmer close in Asia, and this weakness filtered onto the JSE which traded mostly weaker. The rand recorded more gains against the greenback to reach a session high of R13.14/$. At 17.00 CAT, the rand had retraced to 0.47% firmer at R13.21/$. Despite the rand strengthening, financials and retailers traded softer. Investec Limited [JSE:INL] lost 3.25% to close at R93.26, while Standard Bank [JSE:SBK] weakened by 1.65% to close at R196.97 per share. Mr Price [JSE:MRP] closed at R227.59 after dropping 2.1%, while Shoprite shed 0.8% to close at R207.00 per share. On the broader index, Distell Group [JSE:DGH] came under pressure to end the day 3.19% weaker at R133.50 per share. Massmart [JSE:MSM] lost 2.9% to close at R112.29 while Pick n Pay [JSE:PIK] closed at R71.65 after dropping 2.68%. Long4Life [JSE:L4L] and Remgro [JSE:REM] lost 2.76% and 2.31% respectively. A small number of stocks managed to close firmer on the blue-chip index. Sanlam [JSE:SLM] managed to add 1.94% to close at R73.13, while AngloGold Ashanti [JSE:ANG] firmed to close at R108.50 after adding 1.85%. Curro Holdings [JSE:COH] jumped to close at R31.76 after gaining 4.17%, and platinum miner, Lonmin [JSE:LON] picked up 2.87% to close at R6.80. 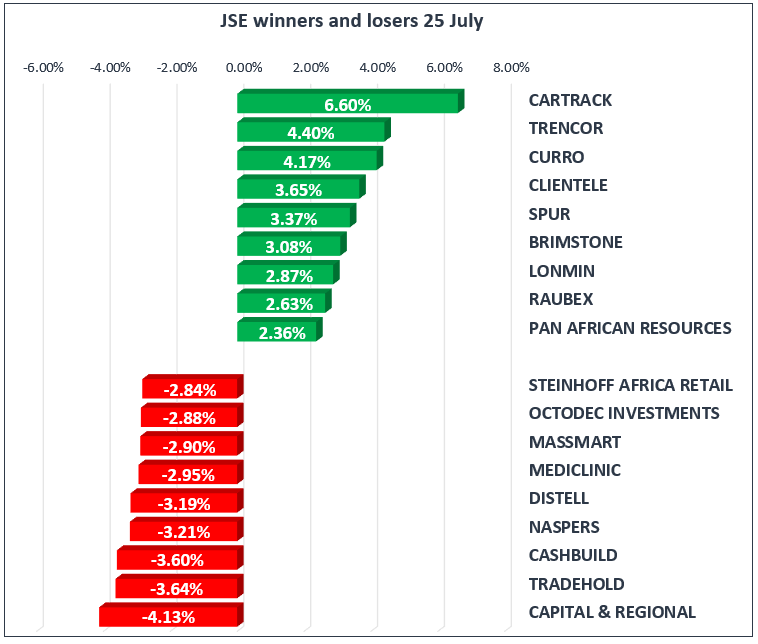 The JSE All-Share index eventually closed 1.17% weaker, while the blue-chip JSE Top-40 index lost 1.31%. The Industrials index came under significant pressure to shed 1.6%, while the Financials and Resources indices weakened by 0.62% and 0.84% respectively. Brent crude was trading mostly firmer on the day, but it slid briefly after the release of US stockpiles data this afternoon. The commodity recovered to trade at $73.66/barrel just after the JSE close, after having reached a session low of $73.07/barrel. At 17.00 CAT, Gold was up 0.38% to trade at $1228.87/Oz while Platinum was up 0.42% to trade at $836.72/Oz. Palladium was up 1.48% to trade at $928.05/Oz. 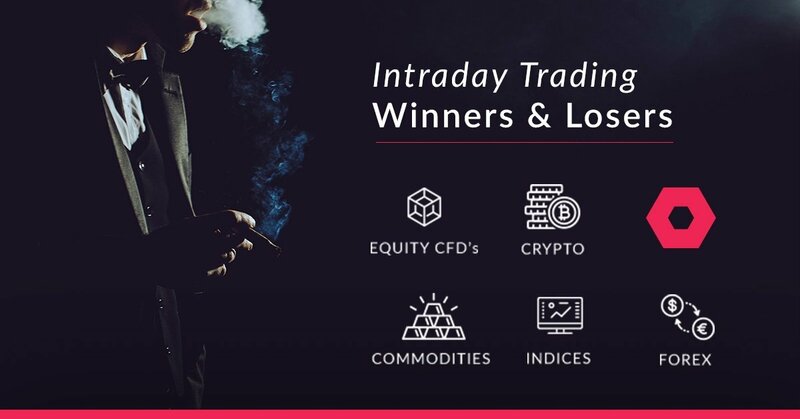 Bitcoin eased by 1.02% to trade at $8122.80/coin while Ethereum weakened by 1.92% to trade at $465.20/coin.